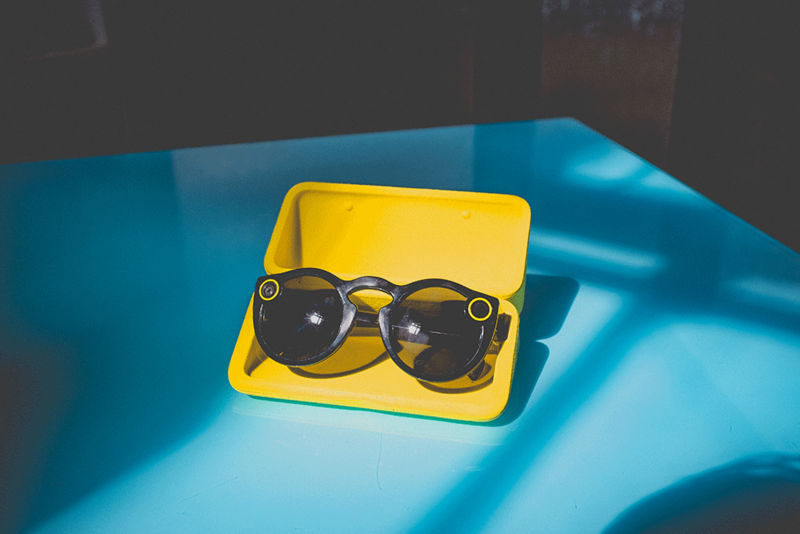 Despite being valued at $28 billion, Snapchat might fail. By Harry Williams, The Click Hub. Astonishingly, this was part of the 2011 press release for what would later become Snapchat, an app called Picaboo – the brainchild of Stanford University classmates Evan Spiegel, Bobby Murphy and Reggie Brown. Fast forward six years, and Snapchat’s parent company, Snap Inc’s IPO pushes the company’s value to over $28bn. However, despite phenomenal growth and a ludicrous valuation (analysts have suggested that the numbers around that valuation simply “didn’t add up” and Snap Inc’s share price has steadily fallen since it went public), uncertain times lay ahead for social media’s latest heavyweight and their lifeboat looks like it has some pretty big holes in it. Snapchat was originally conceived as a simple photo-messaging app, giving users the confidence to send photos to their friends, knowing that the photo wouldn’t be stored permanently on the recipient’s device. As with all social media platforms, Snapchat had to evolve to avoid extinction and after a cash injection of near half a million dollars in 2012, they added video support. By the end of that year they had reached over one million daily users. This attracted the attention of Zuckerberg and, a year later, Spiegel and Murphy reportedly turned down an offer of $3 billion from the Facebook CEO. Heading towards its IPO in 2017, Snapchat had over 166 million daily users who could enjoy the Stories feature, geo-filters, smart filters and even an actual chat function. As a result of pressure from early investors, the first paid advertising and Discover feature was introduced. However, these revenue streams still didn’t reduce the costs coming from hosting the colossal volume of content being Snapped back and forth. Despite increasing sales revenue from $58.7 million in 2015 to $404.5 million in 2016, Snap Inc. was reporting annual net losses of $514.6 million. To put this into perspective – In the same period, Facebook made $27 billion from advertising. Even as Snapchat’s sales revenue rose, increased costs meant they were also increasing their overall losses. In its IPO filing, the company warned that there was a potential risk that it may “never achieve or maintain profitability” and despite reaching a peak value of around $29 billion shortly after it floated, it has steadily fallen to around $17 billion at the time of writing. This drop was partly a result of lower than expected earnings reported in Q1 and also slowing growth in user count. The big question is: How can Snapchat turn the tables and become profitable? After accusations of Facebook and Instagram copying many of Snapchat’s features, it was time for Snapchat to take a leaf out of their rival’s book. Facebook’s real success lies in their self-serve mobile advertising. By opening up their advertising platform to everyone and allowing them to target mobile users, the floodgates were opened and Facebook’s revenue sky-rocketed. So, introducing the launch of Snapchat’s self-serve advertising tool. In an attempt to emulate Facebook’s success, Snapchat is after small business’ ad spend, not the just giant brands. Advertisers can use a fairly familiar looking Ad Manager dashboard to create targeted campaigns and track performance. The video ads will work like in-stream ads on YouTube and appear when people browse Stories on Snapchat. So far some big names are trailing ads on Snapchat, but the call-to-actions are very discreet and they are very easy to skip. The ads appear at the end of Snapchat stories. Currently Happening: As the video ads appear at the end of a Story sequence, users can all too easily tap past the ads and onto the next Story. What Should Happen: They should consider a format like YouTube; ads appear for 5 seconds before the story starts, users are only then given the option to continue watching if they want. Meaning companies only pay for those that are actually interested in the content and the ads are given a chance to be seen. Additionally, the call-to-action, whether is it a website link or app download, is right at the bottom of the screen. This is bad for advertisers and so will be bad for Snapchat. Good video content is difficult for small businesses. Currently Happening: Users have very high expectations, and even though videos are viewed on mobile screens and in the upright Snapchat format, sub-par content just won’t cut it. The Challenges: With this high expectation comes high production costs. One of the big battles marketers face is convincing small businesses to invest in quality video content. So although small businesses will be able to spend their money with Snapchat, if they are using poor quality content they won’t see any results. Bad for advertisers, bad for Snapchat. Current ads on Snapchat, such as this one from Barclaycard, have very high production levels and feature expensive assets like Justin Bieber. This simply isn’t feasible for your average SME. Snapchat’s core users are less receptive to traditional advertising. Snapchat’s core users are young: 71% are under 34 years old. And research has shown that these millennials are a great challenge as they don’t respond to traditional advertising. My impression is that Snapchat appeals most to under 25s, people with far less disposable income, and it will be harder for these ads to generate any meaningful return on investment. Bad for advertisers, bad for … you get the point. Millennials communicate far more with each other than any other demographic and when making purchasing decisions they will consult their friends and, importantly, social media influencers. The value of influencer marketing is widely recognised now, thousands of people are turning their dedicated Snapchat following into a source of income. Brands have identified this, so are willing to pay huge sums of money to people with the right following. At the moment this is fairly rudimental with users endorsing brands and products in return for a fee or free merchandise. Although many of these influencers have agencies working for them, it is not properly managed on the social network itself. This is leading to some problems as advertising regulators are clamping down on people promoting products without disclosing that they are being paid to do so. Snapchat should create a platform or marketplace where influencers and brands can find one another and trade. It could provide insights on user demographics for the brands, and influencers can more easily find brands to work with. The influencers could either create the advertising video themselves or accept video content from the brand to upload to their Story. These promoted videos can then be properly and honestly presented to the user in the form of endorsed products or services within the influencers Story. If this presented more opportunities for influencers to engage with brands and make money, then they will convert back from Instagram (many having gone there after the introduction of an identical stories feature) and they will bring their followers with them. If this accelerates user growth again, this will attract more brands. All Snapchat would need to do is facilitate easy interaction between the two and take a fee for doing so. It seems to me that Snapchat is far more interested in creating a fun app for their users. Given that social media platforms can stagnate and become extinct very quickly these days, perhaps it’s right they focus on user experience. The Click Hub are a digital marketing agency driven by results. With our complete range of services, we can cater for all of your marketing needs.